It has been SO hot around these parts this summer, that the last thing I want to do is turn on the oven in the house, let alone cook! 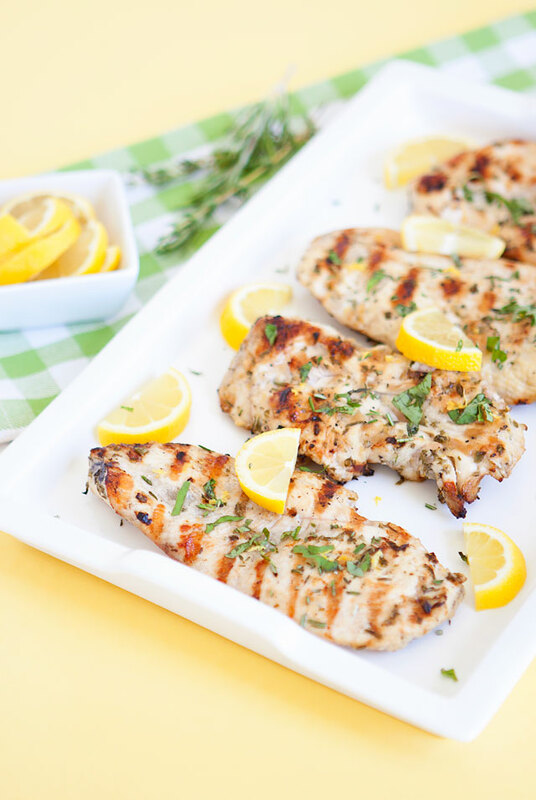 I’ve been trying to think up some quick and easy dinner ideas so that we can spend the day out at the pool, and still come home to a nice home cooked meal. There have been way too many nights around here lately where we get home from our summer activities without any plan in place on what to make for dinner. It has been a struggle with schedules being thrown out the window, and routines being all over the place. But, I am hoping to simplify with some healthy meal ideas that don’t take a lot of planning and preparation. 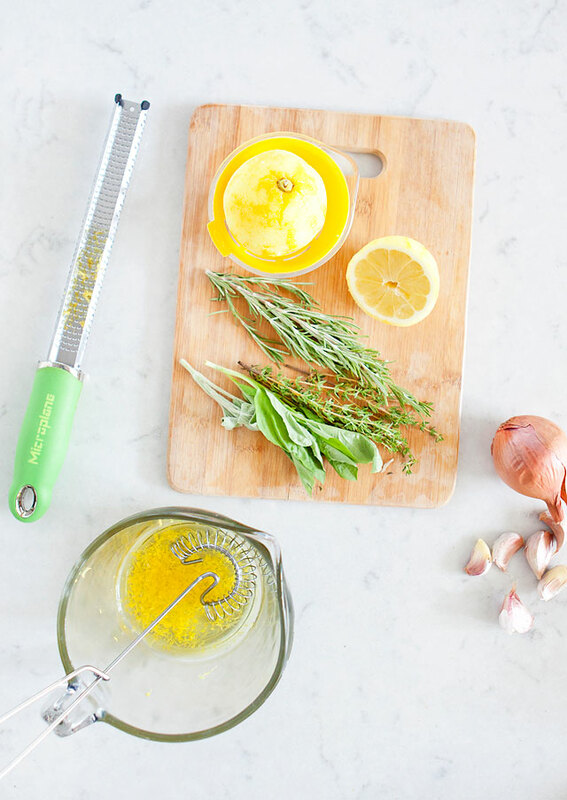 In a small bowl add herbs, lemon juice, zest, salt, pepper, and shallot and stir. Whisk in olive oil and set aside. Place chicken into a large ziplock plastic bag. Pour in marinade, and seal the ziplock bag well. 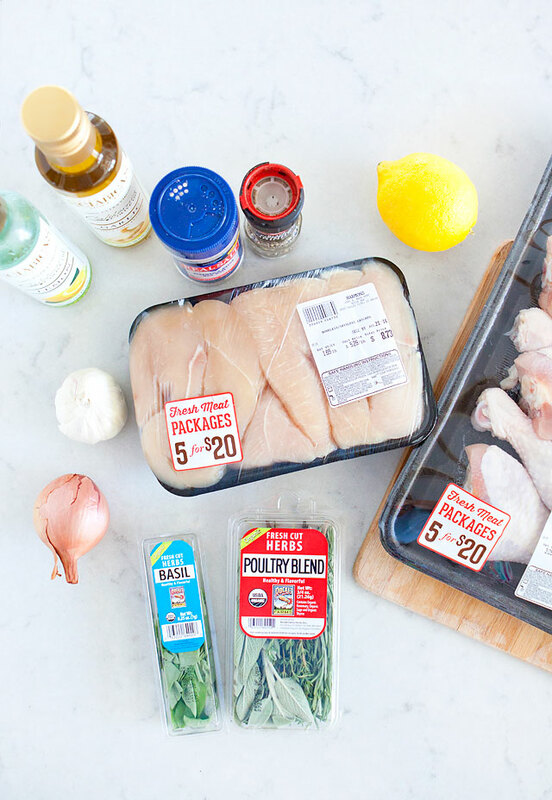 Make sure to coat the chicken well by moving it around in the marinade, and place it in the fridge for at lease 1-3 hours or overnight. When you are ready to cook, preheat your Grill to medium high heat, and lightly grease the racks with some oil on a paper towel to prevent sticking. 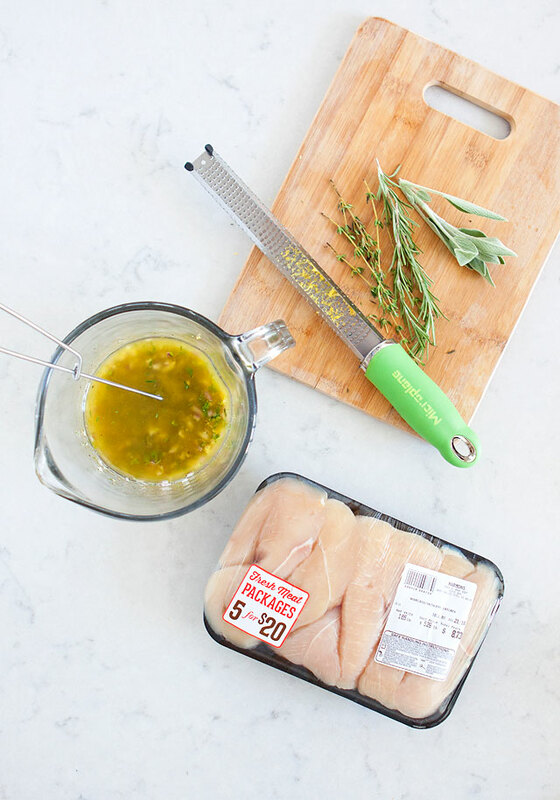 Using tongues or a metal grilling spatula Grill the Chicken with the grill lid closed to keep in the heat about 4-7 minutes per side, or until internal temperature reaches 165 degrees with a thermometer. You’ll want your grill temperature to stay right around 350-400 degrees when the lid is closed. Adjust the temperature if the chicken is burning or the grill is getting too hot. 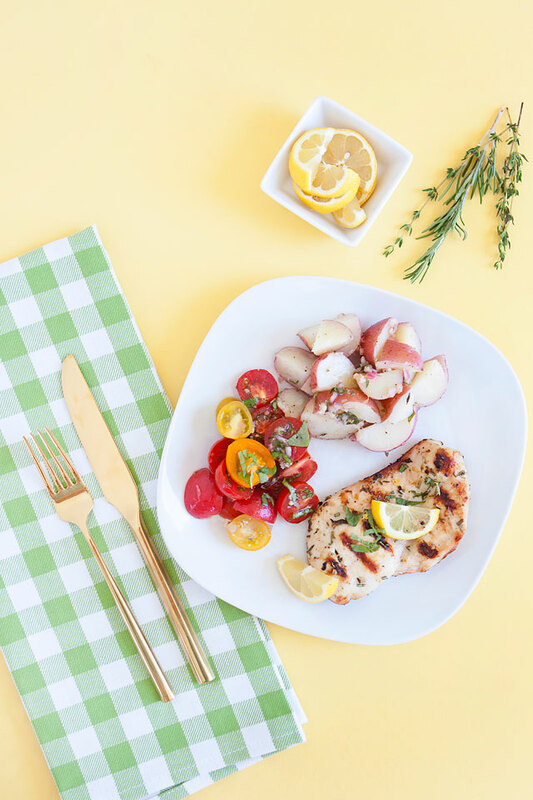 The best part about the recipe is that you can use the same marinade or “vinaigrette” essentially to toss in with some steamed/ boiled potatoes and some heirloom tomatoes, and you have a complete summery meal, easy as that! 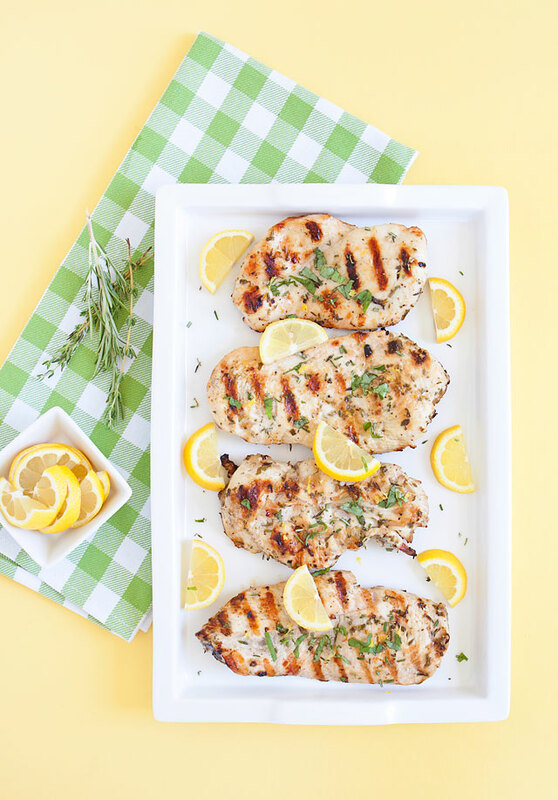 By preparing and marinating the meat ahead of time, you are able to get a quick summer time meal on the table in no time on those busy summer nights! This post was sponsored by Harmons Grocery, your neighborhood grocery store. 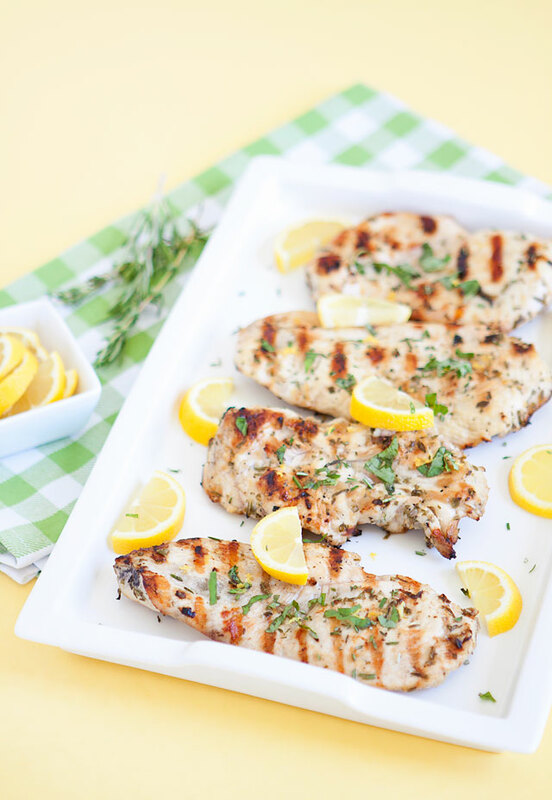 Sound like the perfect summer grilling dish!